With only a few week’s left until Christmas 2016 now is the perfect time to pop into your local Waitrose or Cheesemonger to stock up on your festive cheeses, but what if you don’t know you’re Parmesan to Parmigiano?! Well there is good news because the purpose of this post is to give you a guide to preparing a Seasonal cheese board. To start with the biggest tip I can give you is to speak to the Cheese Specialist (Waitrose) or your Cheesemonger because they will be able to give you the best guidance in creating the perfect cheese selection for the occasion. Secondly if in doubt keep it basic and minimal just because there are 100s of cheeses for sale in the shop doesn’t mean you need one of them all (Although we wouldn’t complain!) 3 to 5 cheeses in a larger amount would be more than an adequate selection. Thirdly learn a bit of information on the cheeses you are buying because if you relay this to your guests it will give them the confidence in your abilities and lead you on to becoming a knowledge cheese server. 1 Cheese: You will have to get a quantity that will feed all the guests. This should only be attempted if you have complete faith in the cheese you are serving and if you are restricted by serving space. You can choose any type of cheese you like but may I suggest a Cheddar Truckle or A whole/ half as this would be very impactful on the table in front of your guests. 2 Cheeses: Like the Very Brave option again you have to be completely confident but this can be pulled off with a visually stunning display. Imagine two big pieces of cheese in front of the eyes of your guests. The best cheeses for this option would be a Stilton and a Brie. 3 Cheeses: This option is getting closer to resembling a cheese board and is starting to become versatile. You can start to build a visually attractive board so I would opt for Cheddar, Brie & Stilton for the three cheeses. 4 Cheeses : This option is best for a small to medium guest list as it can spread out the eating across four cheeses. I would opt for Cheddar, Brie, Stilton & Added/ Fruit Flavour added. 5 Cheeses: This is what I suggest to my customers who make a cheese board because you can cover all of the basics with a little extra. This will allow for additions such as an alternative milk cheese & washed rind adding to Cheddar, Brie, Stilton and Flavour added. 6 Cheeses: Things start to get difficult to manage but it can be done and this would allow for an extra option in a cheddar or blue cheese. So the cheese types I would suggest are Cheddar, Brie, Stilton, Soft Blue, Flavour added & Other Milk. 7-10+ Cheeses: Ok things are going to get tricky here in terms of space & time for preparing but the key thing to remember is to label your cheeses and to provide enough cheese knives for your guests. I would suggest you use the cheese selections provided in Above Average and expand them with two cheddars or two blues etc. this allows you the scope to get really creative with your selection and display. Now that you have your cheeses decided the next stage is accompaniments, now these come in many forms like olives, fruits, nuts, tomatoes, salamis, meats, confits, jams, chutneys, quince paste, fruit & nut wedges, crackers and bread. It really does depend on your likes/ dislikes with foods and so this means you have free reign, but just bear in mind that cheese is nut free but adding nuts as an accompaniment it may not be suitable for guests that have allergies. You don’t have to ask your guests about their allergies but try to cater for everyone just in case, getting ill on Christmas isn’t going to be fun! Wines & ciders to pair with the cheeses depend on your tastes but the basic to remember is to try and balance the flavours. 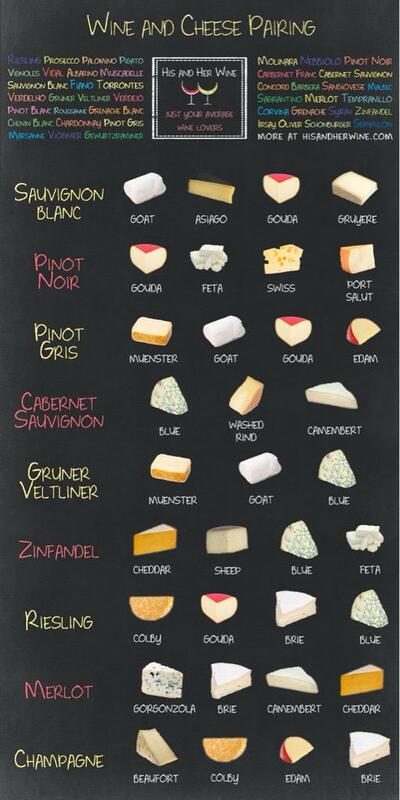 This very helpful chart below can be used to guide you with some pairings when it comes to cheese. The last stage is presenting and for an example here is a cheese table I prepared this year, and as you can see I used flowers as a centrepiece so poinsettias could be used for a festive theme. The use of slate boards, marble or granite are the best forms of board as they keep the cheese better and have a smart & sophisticated appearance. The cheeses should be left in the complete piece with a cheese knife so guests can take from it as they please, remember not use the blue cheese knife on non blue cheeses; this prevents mould growing on cheeses that don’t have mould. The biscuits would be better on a plate with a little label describing what type they are so your guests can distinguish the options. The overall effect should be clean, impactful, organised, full & abundant and if these are adhered to you should pull off a perfect cheese board. If you need any more inspiration you can head over to the Waitrose page for more information but I really hope that this has helped you to create your perfect Seasonal cheese board. It can be tricky but very fun also with the variety of cheese. Have fun in the Seasonal cheesy world!